Post is an idea from Erima Astri. I love cream sauce as the base for the pasta more than tomato sauce but since I’ve been on diet, I cooked the tomato sauce more often. I usually just buy my favorite Barilla sauce (like that photo above) for everyday meal, but when I have free time, I or Bandi would make the sauce by ourselves. We both know how to make this sauce because we invented it together when we were still in collage. 2. When you feel the sauce thicken just like what you wanted, put in the cheese, oregano and salt. My favorite is bacon, but this sauce goes surprisingly well with chicken (cut cubes) and shrooms. P.S. Always pour white wine onto white meat and pour red wine onto red meat. You know what’s better than just a normal carbonara? 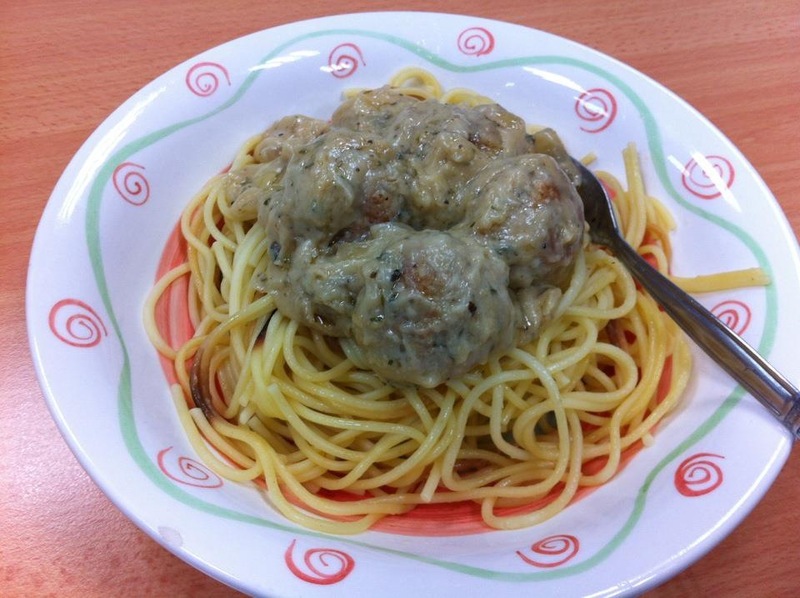 A MEATBALL CARBONARA! Hahaha! I got the meatball recipe from Gordon Ramsay’s recipe book and I swear it’s the BEST meatball ever!!! Instruction: Mix all the ingredients and shape into a…. star? triangle? duh! of course shape into a ball! If you don’t eat pork, then you can change it with other meat that has more fats than beef. If you plan to make the meatball for your carbonara, you may avoid adding cheese because it would be too savory. For the bread crumbs, don’t use the tempura kind of bread crumbs, but use the bread crumbs for baking. May, smelling the fragrance onion. ← #30daysblogging Will you be my wife? Aku tadinya suka masak pasta tapi ternyata itu bumbu nggak tahan lama (cuma tiga hari). Sebel banget gue, karena kejadian baru masuk kulkas sehari dua hari udah berjamur. Wahhh… resep cream saucenya kayak yg suka gue praktekin. Termasuk jg buat bikin cream soup gue pake resep itu jg tp lebih encer hahahaha. Tossss!! Kl gue demen masukin sayuran jg ke saosnya itu. Kayak brocolli. Nyammm…. 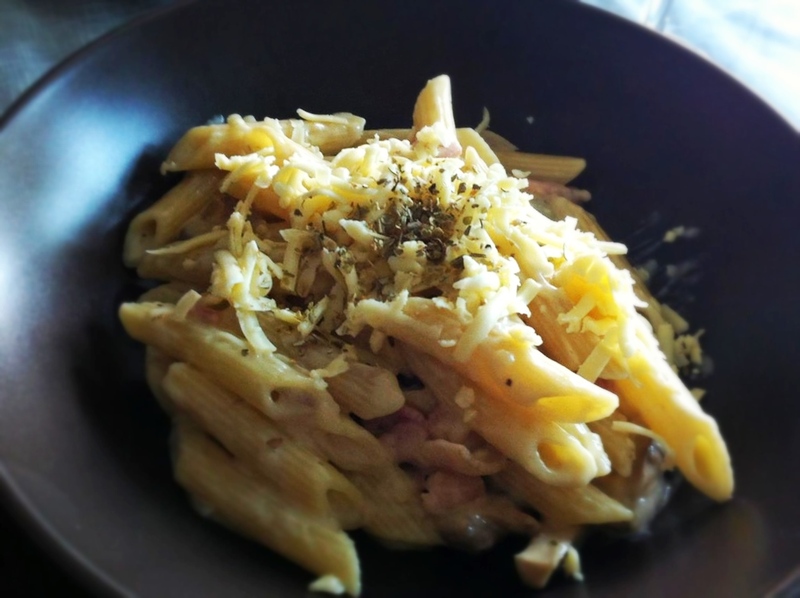 Simpen resepnya buat nanti kalo ada semangat masak pasta..haha :p Lebih rajin Ai kalo soal coba2 resep gini..